Considered the first ruling Queen of England, Mary I was not very popular. In her mission of bringing back Roman Catholicism, she created murderous initiatives toward Protestants and others she deemed heretics. This earned her the title "Bloody Mary." And while most people only recall her killing Protestants, Mary Tudor was actually a fascinating individual who did lots of interesting things during her lifetime. Did you know that the future Mary I of England was nearly married to various different princes during her childhood? Or that she was succeeded by her younger half sister, Elizabeth I, who clashed on several levels with their first cousin once removed, Mary, Queen of Scots? Read on to discover interesting facts about Mary I of England. The ghost of "Bloody Mary" - which pops up in mirrors, covered in blood, shrieking, and holding a dead baby - has some important ties to her namesake monarch. Mary I desired to conceive a child, but struggled with fertility issues. She even suffered from a "false pregnancy." She became severely depressed after these episodes, and wanted nothing more than to give her country and husband an heir. 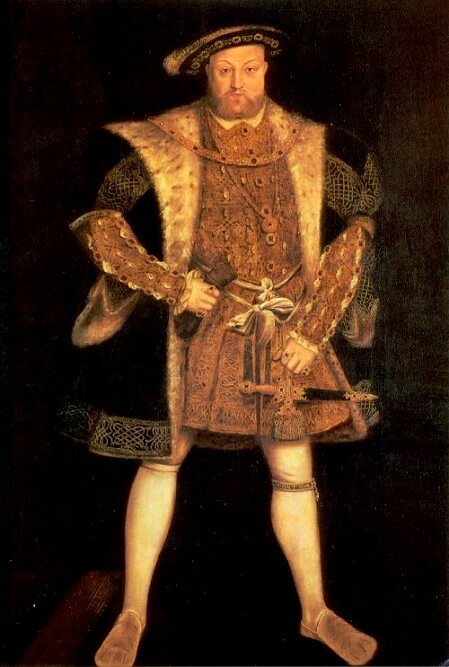 Henry VIII inherited a united country from his father, Henry VII, who kicked off the Tudor dynasty after the very bloody, decades-long Wars of the Roses. Eager to have a son to prevent future dynastic conflict, Henry married his brother's widow, Catherine of Aragon (daughter of the first monarchs of a united Spain), but they had some problems. Catherine became pregnant a number of times, but only gave birth to one surviving child, the future Queen Mary. Once, she did have a living son, dubbed Prince Henry for his father, and the entire kingdom celebrated, but the infant tragically died at only a few months of age. Thus, the fate and stability of an entire dynasty rested on the shoulders of a young princess. Mary was very bright for her age group. She could dance and play the virginals (a proto-keyboard/harp thing) by age seven, showing off for her cousin/betrothed's ambassador. By nine, she could write an entire letter in Latin. When she was eleven or twelve, she translated a prayer, "Concede mihi," written by Thomas Aquinas, from Latin to English. As was customary for medieval and Renaissance royals, Mary was engaged to a lot of different princes while she was a child in a series of broken and re-forged alliances. In her youth, her dad made a big show of allying himself with the king of England's ancient enemy, France. Mary was betrothed to King Francis' eldest son, the Dauphin. The Queen of France kept in touch, sending Mary money and gifts, even though the princess was only four at the time. The next year, the Anglo-French alliance was broken, and Mary was re-engaged to her first cousin, Holy Roman Emperor Charles V (also king of Spain and her mother's nephew). At the time, she was five and he was twenty-five! They sent creepy love letters back and forth, but Charles broke the alliance by marrying another cousin, someone more age appropriate. Henry eventually re-established a bond with the French, promising Mary's hand to either King Francis (her one-time future father-in-law) or his second son.